KAZAK is NONcompany’s performance art trilogy. It evolves around belonging to and in -, the Taiga forest. The project was started in 2011 and all three parts have now been produced. KAZAK also contains some sidetracks, smaller projects made along the way. Kazak means: robber, a disturber of the peace, an adventurer. He was someone who would not accept the life granted him by fate and instead chose to lead life as a vagabond. The term has also been used to describe groups that severed their connection to king and kinsmen. In an older Russian sense of the word, a kazak is someone who wanders about and has no possessions or affiliations. The KAZAK-trilogy is in its whole co-produced by BIT Teatergarasjen in Bergen, Norway and Teaterhuset Avant Garden in Trondheim, Norway. The project begins with the idea that the taiga, the boreal forest that stretches in a belt around the entire northern hemisphere, is one major forest. What happens if we consider this enormous forest as the basis of our roots, and claim that this natural habitat is more important to the northern people’s sense of belonging than nationality, culture and social and geographical borders? Who are the taigans? With a core material, the company investigates relations, connections, and their own belonging, using different forms of expression, and taking on a new point of view for each part of the trilogy. 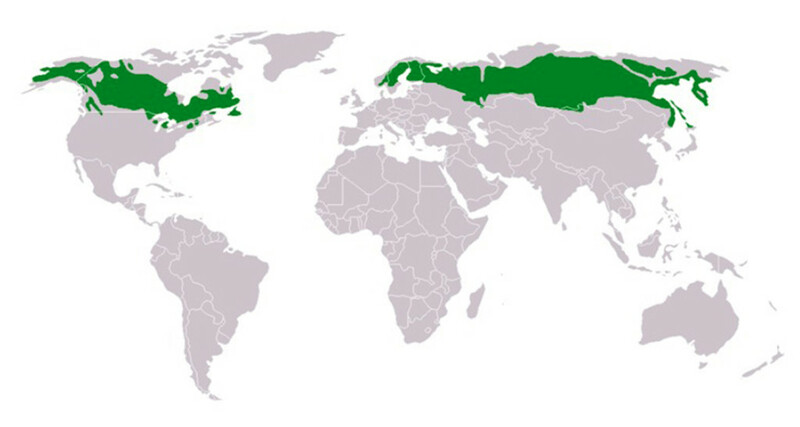 The taiga is the world’s largest land biome, and stretches like a dark green belt around the Northern Hemisphere. Embracing three continents and six countries, this forest is, seen as a whole, the largest one on this planet. It’s a relatively uninhabited biome; harsh, cold, dark and still with areas untouched by humans. But also rich on resources, beauty, stories and secrets. Throughout the project NONcompany has set out on several expeditions into the woods. In 2011 they travelled from Elverum in Norway through the forest in Sweden, Finland and Russia, until they came out by the Pacific Ocean on the other side. In 2013 they travelled in the forest in Western Canada, on the border to Alaska. With KAZAK NONcompany started with the banal, but everlasting question of ”who am I?” and built a complex artistic research around it. The company went back to the roots, back to nature, into the forest that we came from, and tried to find new ways of seeing this area. What distinguishes Taigans from the rest of the world, and what does the world look like from a Taigan point of view. The idea for KAZAK was formed as we were discussing what it is that defines where we come from, how many answers one can have to such a question, again leading to why people went up here to the cold harsh north, in the first place. We started looking at maps, and reading about how groups of particularly adventurous hunters left their hunting grounds and followed the wild up north. The forest gave, and still gives, of its richness, but there is a price to pay in form of cold, long, dark winters, waste areas and inhospitable terrain. It is clear that humans are formed by their surroundings, but in this case, in the taiga – into what? The title KAZAK is an old Russian word for vagabond, or someone who breaks out from his familiar surroundings, or from his own kind, to form his own life and luck. We found it fitting to our exploration of seeing our inner, and outer world from new perspectives. KAZAK is an artistic research in belonging and changing of perspective. With a wish to integrate the thematics into our concept and process, the idea of creating a trilogy, where we could continually re-work and reconsider our own material, took form. We began the project by taking a longer expedition into the taiga, creating a basis that has been constantly processed and adapted, as we added new elements and explored it from different angles. Along the way, the project was shaped into three different performances that can stand on their own, but also function as a series. In this work we found it important to let the material unfold without trying to force it into too many predefined frames. This has led to unexpected turns and additional side projects, such as an intermezzo, and a short film. This freedom made it adventurous to work with, and so we maintained the spirit of the Kazak throughout the work.